Catch Chris with the Chris Cooper Project at various venues in Western North Carolina. Chris also plays with the Kavalactones, a psychedelic improv band, at Noble Kava. Click below for more details. 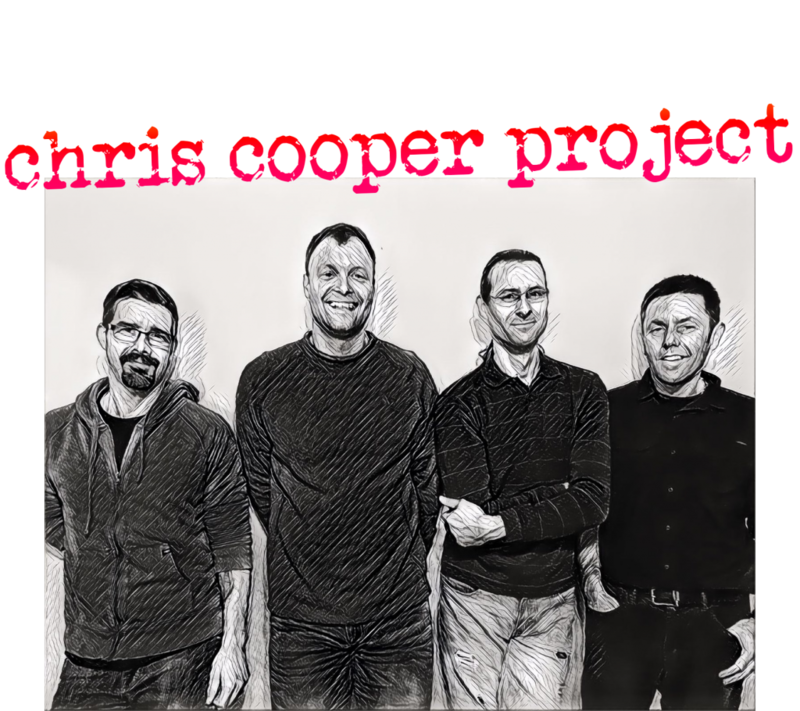 The band that would become the Chris Cooper Project started in 2009, mostly as a vehicle that allowed a group of musicians- with an unabashed love for 70’s and 80’s instrumental funk, rock and fusion- to blow off some steam and play a few local gigs. Vintage Jeff Beck, Dixie Dregs and the Meters, along with the music of guitar heroes like Eric Johnson, Robben Ford, Stevie Ray Vaughan and Joe Satriani were deeply influential to main songwriter and lead guitarist Chris Cooper, who earlier worked as a sideman to Jason Hausman, Ashley Chambliss and Angela Faye Martin. 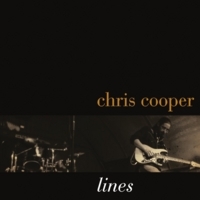 Cooper’s first solo album, Lines, is available here. WNC natives Tommy Dennison (gtr) and Joshua Lee Mason (drums) were integral parts of local favorites and 2010 Orange Peel battle of the bands winner Big House Radio, and bassist Rob Heyer spent years holding down the low end in the now legendary Fifth House. The Chris Cooper Project strives to find a common ground between adventurous compositions, fiery virtuosity, deep groove and strong melodic content. Chris Cooper’s Lines sits comfortably in that space between melodic subtlety and full-on shred. A mix of jazz, blues, and rock, and inspired by the likes of Eric Johnson and Robben Ford, Lines is an instrumental guitar album for discerning listeners. And while Cooper’s technique shines on his debut album, so does his sense of song and tone. From the fun rock of “Fireflies” to the sentimental jazz of “Snow Day,” Lines is full of feeling. 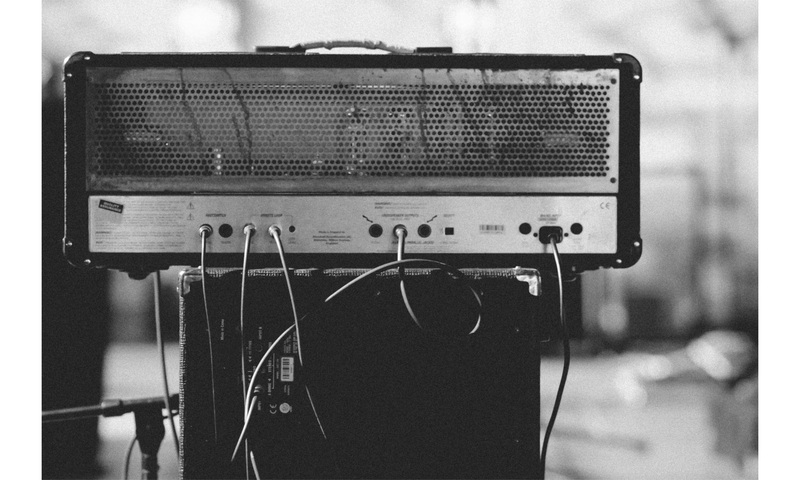 When he set out to make the record, Cooper began writing using a Boss Loop Station, an approach that allowed the guitarist to layer and arrange parts without getting lost in the details of making the perfect demo. Once the song concepts were complete, Chris entered the studio, and began recording. Chris Cooper started playing guitar in 1988, when he shed years of exposure to The Beatles, The Grateful Dead and The Allman Brothers in favor of the punk scene – bands like Misfits and Dead Kennedys. But it wasn’t until his first exposure to Joe Satriani that Chris understood the possibilities of his instrument. 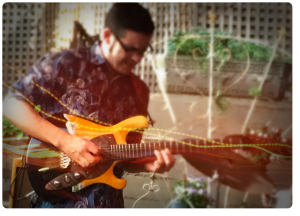 A friend of his turned him on to some jazz courses at a local college, where Chris found a world of guitar style and musicianship that he hadn’t learned from the super-shredders. The courses had Chris learning from great players and exposure to the music of Wes Montgomery, Pat Metheny, George Benson, Miles Davis and Cannonball Adderly greatly influenced his playing. Studying jazz didn’t undo his love of rock, though. Chris developed an admiration for Robben Ford, Mike Stern, Eric Johnson, Greg Howe, Guthrie Govan and Jimmy Herring – players whose fusion of advanced harmonic knowledge with overdriven, ripping guitar playing influences Chris greatly. Hybrid pickers like country music’s Brent Mason, Albert Lee and Danny Gatton have also had a hand in shaping Chris’ sound. Chris’s musical career has spanned decades and styles from fusion to country, both on stage, in the studio and in private lessons. Since 2004, he’s lived in western North Carolina where he performs with the Chris Cooper Project, creates and edits lessons and product demos on his YouTube channel Blue Collar Shred, records and teaches. Chris’s self-produced CD, “Lines” is available at iTunes and CD Baby. Click below to subscribe to his YouTube Channel and get updates when new videos are available. Oh. Oh yeah. That’s nice. Upgrade to larger pedalboard. After doing so, feel compelled to reevaluate signal path. Remove several pedals. Now too much space. ffs. It does sound better, though. Doin’ stuff to the Frankentele. Just another Wednesday night. Easily one of my favorite booths and some of the coolest folks I met at NAMM- #cmgguitars and #devilcatamps. USA made gear that plays great, sounds great, and that’s priced within reach of us working stiffs. You know, just Amanda and I hanging out with Michael Molenda. He’s the editor of Guitar Player Magazine, which I’ve been reading for well over half my life. No biggie. Jumpin’ Jehoshaphat- it’s the perfect pedalboard. For me. Damn. My cat is probably a lot cooler than your cat. I get to spend a substantial amount of my day off in this room full of awesome. That’ll do.